Đây là tài liệu bộ đề Writing có khả năng cao (xác suất trúng đề >70% ) sẽ ra trong Qúi I của năm 2019. Chúc các bạn ôn thi tốt nhé. Nowadays many adults have full-time jobs and the proportion of their lives spent on work is very high. Some of them are under high stress and ignore the other parts of life. What are causes and effects ? Many museums and historical sites are mainly visited by tourists, not local people. Why? What can be done to attract local people? Some people who have been in prison become good citizens later. Some people think that they are the best people to talk to school students the danger of committing a crime. Do you agree or disagree? The young people in the workforce are changing their jobs or careers every few years. What do you think are the reasons? Some people claim that newspaper is the best way to get the latest information because it has more influence than other forms of media. To what extent do you agree or disagree? Some people believe that people who read books can develop more imagination and language skills than those who prefer to watch TV. Do you agree or disaree? The restoration of old buildings in major cities in the world costs numerous governments' expenditures. This money should be used in new housing and road development. Do you agree or disagree? Some people believe the purpose of education is to prepare people to be useful members for society. Others say that the purpose of education is to achieve personal ambitions. Discuss both views and give your own opinion. In many parts of the world children and teenagers are committing more crimes. Why do you think it is the case? How should children or teenagers be punished? In some countries, governments are encouraging industries and businesses to move out of large cities and into regional areas. Do you think the advantages of this development outweigh its disadvantages? Nowadays, most people learn academic study in university, but others think we should encourage to learn vocational skills more, do you agree or disagree? Some people think people working in creative arts should be financially supported by government. Others think they should find financial support from other resources. Discuss both sides and give your opinion. Some people think most crimes are the result of circumstances like poverty and other social problems. Others believe that they are caused by people who are bad in nature. Discuss both views and give your opinion. In recent years, young people in many countries choose to live by themselves. What are the reasons and is it positive or negative for the development of the society? Some people believe that teenagers should concentrate on all school subjects. Others believe that teenagers should focus on the subject that they are best at or that they find the most interesting. Discuss both these views and give your own opinion. Some governments say how many children a family can have in their country should be strictly controlled. They may control the number of children someone has through taxes. Is it sometimes necessary and right for a government to control the population in this way? Reading story books is better for children than watching television or playing computer games. To what extent do you agree or disagree? A recent newspaper article reports that a 14-year-old boy who seriously destroyed his school got a punishment to clean streets instead of being sent to the prison. Do you think this is right? Or the young criminals should be sent to the jail ? Some people think having more TV channels is good because they will have more choices, while others think it is not good because programs' quality is lower. Discuss both views and give your opinion. Somebody thinks job satisfaction is more important than job security, while others hold the opposite view: job permanent is much more important. Discuss both views and give your own opinion. In the past, people store knowledge in the books. Nowadays people store knowledge on the internet. Do you think the advantages outweigh the disadvantages? In some countries many young people choose to work or travel for a year between finishing high school and stating university studies. Discuss the advantages and disadvantages. Some people think the qualities a person needs to become successful in today’s world can’t be learned at a university or similar academic institution. To what extent do you agree or disagree? Some think that printed books are not necessary in the digital era, because all writing can be stored electronically. Others think printed books still play an important role. Discuss both views and give your own opinion. Some people say that arts subject such as painting or drawing should not be made compulsory for high school students. To what extent do you agree or disagree? Some people think it is more important to plant more trees in open area in towns and cities than provide more housing. To what extent do you agree or disagree? Older people who need employment have to compete with younger people. What problem does this cause and what are the solutions? Some people think that using mobile phones and computers has a negative effect on young people's reading and writing skills. To what extent do you agree or disagree? Some people believe that in order to improve educational quality, we should encourage students to make comments or even criticism on their teachers, but others think it will lead to the loss of respect and discipline in the classroom. Discuss both views and give your own opinion. In some countries, more and more adults choose to continue to live with their parents after they graduate and have found jobs. Do the advantages of this trend outweigh its disadvantages? In some countries many young people choose to work or travel for a year between finishing high school and starting university studies. Discuss the advantages and disadvantages. Many countries believe that international tourism has harmful effects. Why do they think so? What can be done to change their views? The government should spend money in promoting sport and art in school, rather than sponsoring professional sports and art events in communities. To what extent do you agree or disagree? Today, some food travels thousands of miles from farms to consumers. Some people think that it would be better to our environment and economy if people only eat local produced food. To what extent do the disadvantages outweigh the advantages? Nowadays, most countries improve the standard of living through economic development. But some social values are lost as a result. Do you think the advantages of the phenomenon outweigh the disadvantages? The increase in food production owes much to fertilizers and better machinery, but some people think that it has a negative impact on human health and community. To what extent do you agree or disagree? Universities and colleges are now offering qualifications through distance learning from the Internet rather than teachers in the classroom. Do you think the advantages of this development outweigh the disadvantages? Some people say government should give health care the first priority, some others believe there are more important priorities to spend the tax payers' money. Discuss both views and give your opinion. It has been suggested that all young adults should be required to undertake a period of unpaid work helping people in the community. Would the drawbacks be greater than benefits to the community and the young adults themselves? With the wide use of computers and the Internet, people can study and work from home without going to school or company. Do the advantages outweigh its disadvantages? The best way for the government to solve traffic congestion is to provide free public transport 24 hours a day and 7 days a week. To what extent do you agree or disagree? The major cities in the world are growing fast and many problems occur. What are the problems that young people live in cities are faced with? What solutions do you suggest? People can live and work anywhere they want to choose because of improved communication technology and transport. Do the advantages of this development outweigh disadvantages? Some people think that the best way to improve road safety is to increase the minimum legal age for driving a car or motor-bike. To what extent do you agree or disagree? Some people think job satisfaction is more important than job security, while others believe that having a permanent job is better than enjoying the job. Discuss both views and give your own opinion. Many countries now have people from different cultures and ethnic groups. What is the reason for this? Is it a positive or negative development? Surveys show that people are living longer in many countries. But increased life expectancy has many implications for aging individuals and for society as a whole. What are the possible effects of longer living for individuals and society? Some people believe that computers and internet carry more weight than traditional education in children’s study. Some others believe that traditional schooling and teachers are still essential and more effective. Discuss the both viewpoints and give your own opinion. People are surrounded by many kinds of advertising which can influence their life. Does the positive effect of this trend outweigh negative effects? Nowadays, there are many television advertisements aimed at children. What are the effects of these advertisements on children? Should TV advertisements be controlled? Some people believe that rich countries provide poorer countries with other types of help rather than financial aid. To what extent do you agree or disagree? Online shopping is now replacing shopping in the store. Do you think it is a positive or negative development? Today, fashion is becoming more and more important in choosing clothes. What are the reasons? Do you think the trend positive or negative? With the increasing demand for energy sources of oil and gas, people should look for sources of oil and gas in remote and untouched natural places. Do the advantages outweigh disadvantages of damaging such areas ? An increasing number of people are changing their careers. What are the reasons? Do you think it is positive or negative? Some working parents believe childcare centers can provide best care for children, while others think family members like grandparents can do it better. Discuss both views and give your opinion. Some people think that only the best students should be rewarded. Others, however, think that it is more important to reward students who show improvements. Discuss both these views and give your own opinion. Advertising discourages people from being different individuals by making us all want to do the same and look the same. To what extent do you agree or disagree? Many people nowadays don’t feel safe either when they are at home or go out. What are the reasons? What can we do to solve this problem? In some countries, secondary schools aim to provide a general education across a range of subjects. In others, children focus on a narrow range of subjects related to a particular career. Which do you think is appropriate in today’s world? Some people think that too much attention and too many resources have been given to the protection of wild animals and birds. To what extent do you agree or disagree? Recent years, more and more people choose to live by themselves. Why ? Is it positive or negative for the development of the society? Team/group activities can teach more important skills for life than those activities which are played alone. To what extent do you agree or disagree? Nowadays a large amount of advertising aiming at children should be banned because of the negative effects. To what extent do you agree or disagree? Some people say that governments should focus on reducing environmental pollution and housing problems to help people prevent illness and disease. To what extend do you agree or disagree? Many people believe that best way to produce a happier society is to ensure a that there is small differences of earning between the riches members. and poorest members. 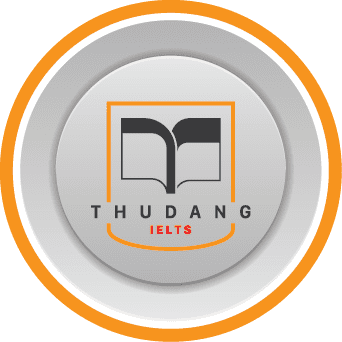 IELTS Thư Đặng chúc các bạn thi tôt!